Rebrand and a new website - why now? I have always had a passion for photography. When I first started my photography business back in 2013, I picked family & couple lifestyle photography as my niche. I wanted to learn all I could about how to make amazing images, and I photographed as many people in as many locations as I could possibly fit into my days. That was great: it’s what I needed in order to move from my early work (Eeeeek!) to what I am continuing to learn now. Over the years I have started to hone my skill and find my photographic style. However as I looked at my business (and website) at the end of 2015, I didn’t feel my brand represented my style anymore. I want my brand to speak how I approach my photography, from my relationships with my clients, to my editing style. Luckily, I had the help of my good friend and marketing whiz Lorna, who was great at finding the right words, and challenging me when I veered off my authentic message! Also, at the same time, my family and I were in the process of moving from Vienna, Austria to Wallingford, South Oxfordshire in the UK, so now seemed like the ideal time to overhaul my entire business, and start afresh. The starting point of the rebrand was changing my business name from Rolaa Photography to Carola Moon Portraits. Why? Because I've now decided to focus specifically on fully-directed portraiture rather than lifestyle photography. Over the course of the last few years, I've come to realise that portraiture is my passion and is the type of photography which brings me the most joy. It is the empowering of the persons I photograph that is my "WHY"! My heart sings when I see my clients light up in front of my camera! I love to deliver a pampering and fun makeover experience which leaves you feeling on top of the world, and create a collection of beautiful portraits for you to cherish. And as a one-woman-band, I am my brand, and so it made sense for me to include my name in the business title. Over to you: Now think about your core offering: what is your "WHY"? And resulting from that, what is your "WHAT" you're offering? A great book to dive deeper into this topic is "Start With Why" by Simon Sinek (Pro-Tip: listen to the Audiobok on Audible on your most-daily head-clearing walks)! Next I turned to designing my new logo. My first step was to find words to help define my brand. When you look at my photography I want you to feel it is Dazzling, Genuine, and Empowered. And so with these 3 words in mind (and after a lot of back-and-forth with an amazing designer! ), my new logo was born. What I also did, was walk around town looking at all the other brands, and how they had designed their logo. Any that spoke to me, I took a photo of to share with my designer. This was a wonderful way to communicate a brand feel in a visual way. Over to you: For your new logo, what are 3 words that describe your brand the best? And what are brand logos that inspire you? This is a step that many don't take in their self-made branding, but professional designer will always create as well. What's great about a colour palette is that once decided, all other colour choices for samples, furniture etc. are straight-forward: just check it against your palette! 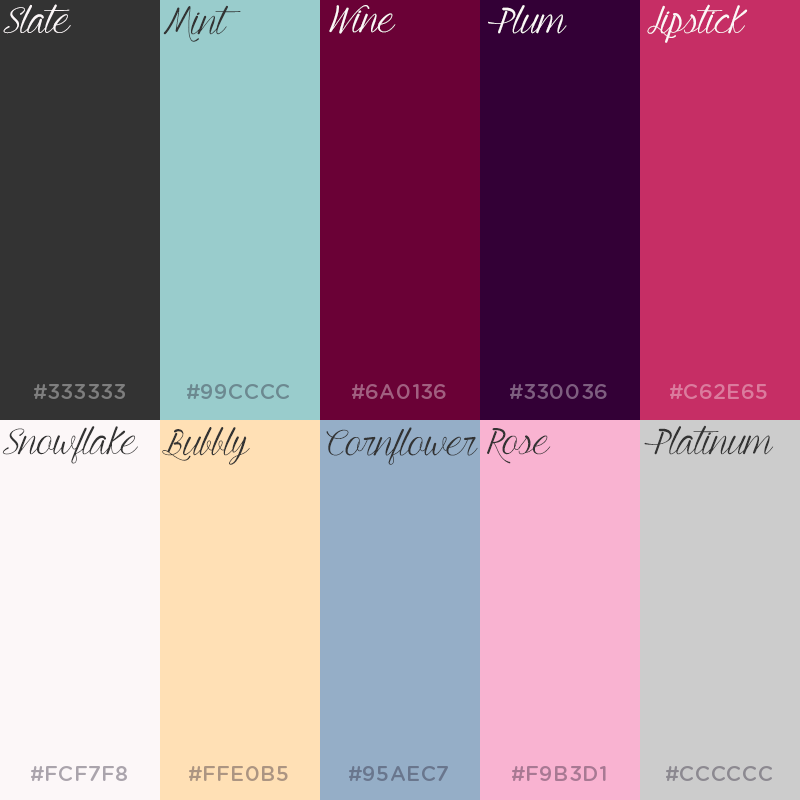 Over to you: What are your core brand colours? To achieve my new look for the website, I started with looking at other (photographer) websites for inspiration, and put together a simple branding board so I could start to pull together exactly what I wanted. For me, it was extremely important that the website looks professional, fresh, and elegant, whilst also being welcoming and approachable. I chose to build my website on a Wordpress.org platform hosted on Krystal's servers. From all my research, I had a clear winner with the Impreza theme and I still love it! Over to you: My tip for you is to look at the "HOW" you want your website to look, so chose again three words that describe the essence of your future site's feel. Next get clear about the contents: what do you want in your about section? Do you want to have a simple contact form or a more elaborate intake questionnaire? How can you showcase your work/services the best? And very importantly, don't forget testimonials or reviews: how do you want them to appear on your new site? Then choose the technical aspects of your website, and be true to yourself: you don't need to build it yourself on a self-hosted platform. I know of many people who are very happy with their Squarespace or Wix solution, and love that they don't need to fiddle about with plugins and upgrades. It needs to work for you! If you're considering a website builder, check out this comprehensive comparison article on the best website builders. There is a ton of information out there; comparison guides like this one help to cut through the noise. Phew, the website is ready! I won't lie, it has been a lot of hard work, but I'm thrilled with the new look and I'm really excited to show you the new website. Over to you: what do you think? Do you like my website? Do you feel connected with my new vision and brand?